You’ve found an answer. It works. It’s called AGILE. But now they want to use it on globally dispersed teams. They want to use it in very large, hierarchical organistions. They want to use it for day-to-day business itself. When they struggle, AGILE unfairly gets the blame! But don’t worry QUBE can fix this. You’ll have noticed that the pace of change is accelerating. You’ll have noticed that complexity is being matched by increasing ambiguity. You’ll have noticed that you need to get things done & delivered BEFORE the opportunity evaporates. Doing what got you here, in the way it used to work won’t get you there. How do you make change in a new, flexible fast way when your traditional, proven methods let you down? 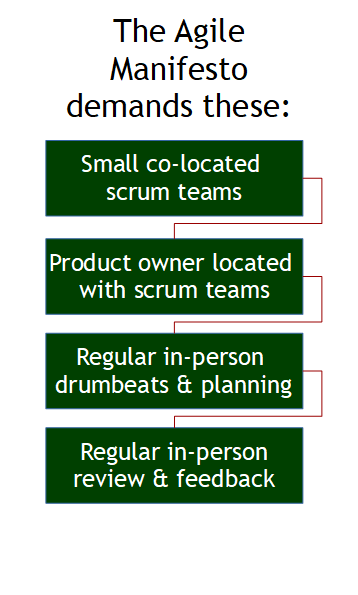 The Agile Manifesto was created to accelerate the flexible delivery of software. It was developed in a pre-digital, pre -global age from the point of view of the developers. The inbuilt assumptions can’t easily be met when the scope, and complexity are not what it was set up for. As a result, many global Transformation programmes are struggling. Forbes 2028 says that about 86% are at risk of failure. Teams have to resort to traditional methods and as a result your Agile becomes Fragile. But don’t worry Agile-on-QUBE makes what would normally be impossible, really simple. 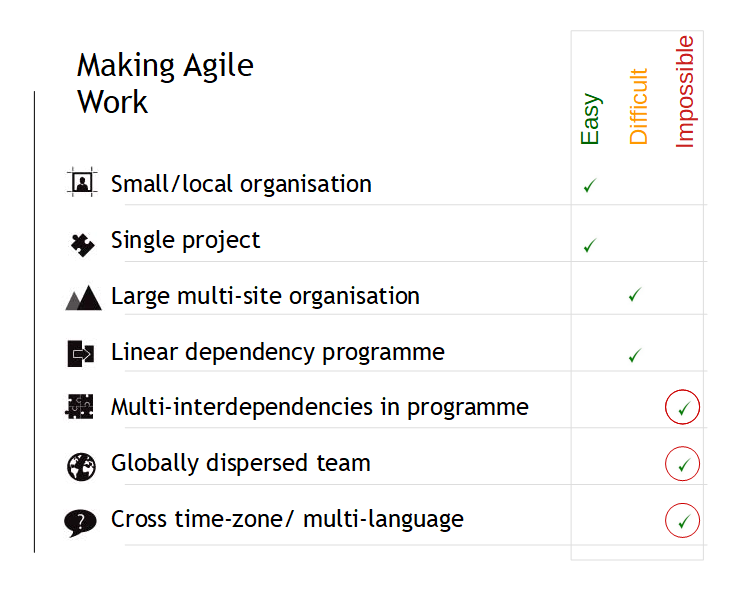 Agile-on-QUBE can save any Agile programme. Agile-on-QUBE can save your Agile programme. You can have it both ways. Deliver your Agile Transformation and take full advantage of all the Thought and Assumptions of the Agile Manifesto. Read the “When your Agile becomes Fragile“ blog by Eddie Obeng PhD. Hear what our experts have to say…. Take a tour of our Agile world (video)…..